The following awards were presented at the TWS-WS Banquet on Wednesday February 8, 2017 by TWS-WS President Rachel Sprague. The Raymond F. Dasmann Award for the Professional of the Year went to Dr. Richard T. Golightly. Standing next to Dr. Golightly is former student (and TWS-WS past-president) John McNerney. B.S. in Biology. 1972. University of California, Irvine, CA. M.S. in Zoology. 1976. Arizona State University, Tempe, AZ. Ph.D. in Zoology. 1981. Arizona State University. Tempe, AZ. 2012 – Present Professor Emeritus, Department of Wildlife, Humboldt State University, Arcata, California 95521. 1981 – 2012 Professor, Department of Wildlife, Humboldt State University. 1980 – 1981 Research Assistant, Center for Environmental Studies, Arizona State University, Tempe, Arizona 85287. 1978 – 1980 Instructor, Wildlife Management, General Ecology, Department of Zoology, Arizona State University, Tempe, Arizona. April 2003, Professional of the Year, North Coast Chapter of the Wildlife Society. Directly supervised more than 50 MS students who now hold positions in government, academia, NGOs, forest industry, and private consulting during his 45 yrs. of teaching and research. Research includes work with Kit Fox, Elk, Fisher, Marten, Coyotes, and Red Fox. Starting in early 90’s work with seabirds including Common Murre, Marbled Murrelet, Scripps’s Murrelet, Cassin’s Auklet, Western Gull, and Storm Petrels. Has conducted research in California, Arizona, Nevada, Wyoming, Washington, Midway Island, and Paraguay. Murrelet research has included capture and radio-telemetry investigations of at-sea movements, nesting, and predation. Video was used to capture predation on eggs and incubation. This research has led to strategies to protect eggs through aversive conditioning of jays. Present research activities include the Common Murre Restoration Project in central California (on-going for 20 years), Castle Rock Seabird Project (on-going 10 years), baseline studies for seabirds in the north coast Marine Protected Areas, Diet of Marbled Murrelets in the California. Castle Rock project using remote-controlled video to assess productivity and food deliveries by Common Murre. Research has allowed scientists to assess changes in food and productivity over 10 years. 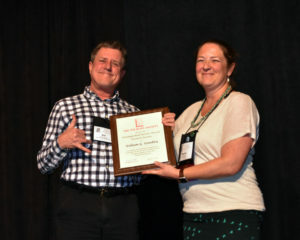 The Conservationist of the Year Award went to the Tahoe Regional Planning Agency (TRPA). 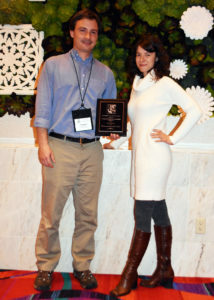 Accepting for TRPA is Thomas Lotshaw and Morgan Beryl. In the late 1960s, legislation was adopted in Nevada and California to create the Tahoe Regional Planning Agency. The legislation was then passed by Congress and signed into law by President Richard Nixon in 1969. The Bi-State Compact between California and Nevada gave TRPA authority to adopt environmental quality standards for water quality, air quality, soil conservation, vegetation, fisheries, wildlife, scenic resources, noise, and public recreation. The Chapter of the Year Award went to the California Central Coast Chapter. The Barrett A. Garrison Mentor of the Year Award went to Barbara Peters. Barbara Peters worked at Humboldt State University in Arcata, CA, as a Career Counselor for 30 years. At HSU, she specialized in helping students (undergrads and graduate students) in the natural resources and sciences with career decision-making, gaining summer job & internship experiences, and professional job hunting upon graduation. Prior to her time at HSU, she worked for 5 years in the Career Planning and Placement Office at Idaho State University. She obtained her B.A. degree in Political Science (1971) and her M.A.Ed. in Student Personnel Work in Higher Education (1976) from Idaho State University. She lives in Eureka, CA with her fisherman husband and a Springer Spaniel, Maizey – they have raised 2 litters of Springer Spaniels over the years. 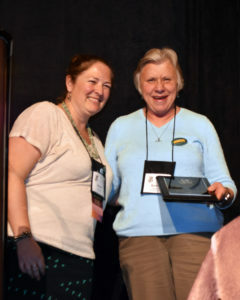 Barbara has been presenting these workshops at The Western Section since 2007 and at the TWS Annual Meeting since 2009. 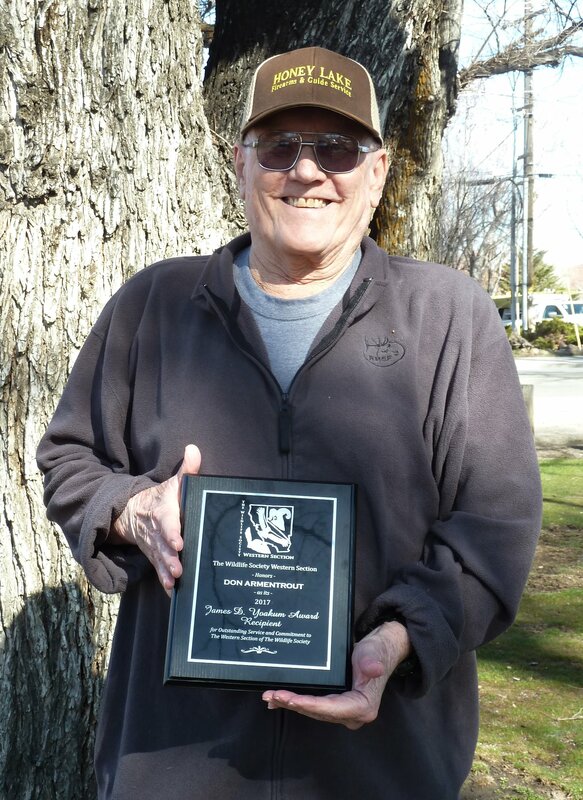 James D. Yoakum Award Recipient for Outstanding Service and Commitment to The Western Section of The Wildlife Society went to Don Armentrout. journals related to wildlife ecology, ornithology, and habitat conservation. Dr. Mock has extensive national and international experience in the assessment of impacts on biological resources, especially in relation to wetland ecosystems, coastal sage scrub, and endangered species. He is a recognized expert in the ecology of the federal threatened California Gnatcatcher, and has done detailed behavior studies of California Least Tern, Western Bluebird, and a variety of water birds and raptors (birds of prey). 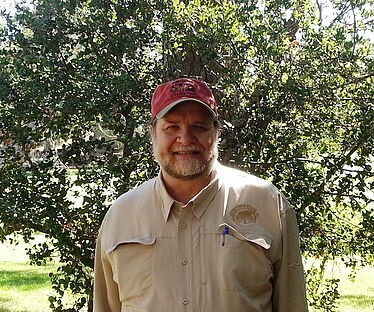 Pat is also known for regional conservation planning and wildlife movement assessments. 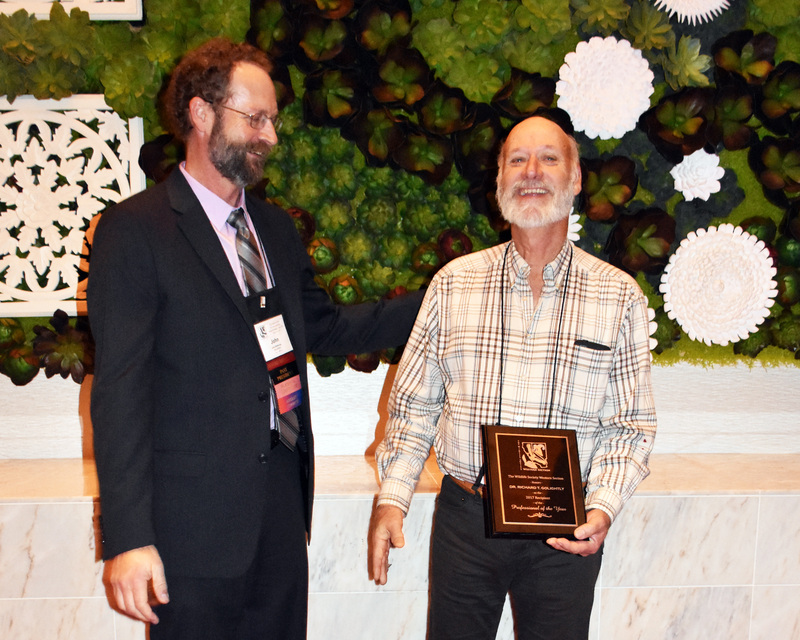 The 2017 TWS Distinguished Service Award went to Bill Standley. as a biologist in both California and Hawaii and has demonstrated his commitment to TWS and TWS-WS since early in his career. Bill has been a long standing member of the Western Section and was the Hawaii Chapter Representative from 2005-2010. He was at the forefront of TWS’ digital presence, preparing, maintaining, and improving web pages at the Section level, and for multiple chapters. Bill was TWS-WS webmaster from 1997-2008 and served as an invaluable resource for online services for years, and is a willing mentor for new professionals interested in Fish and Wildlife Conservation and Regulation. For work, he has been involved in some high-profile conservation and policy issues, including illegal seabird take and HCP Coordination. In 2009 Bill received TWS-WS James D. Yoakum Award for Outstanding Service and Commitment to The Western Section of The Wildlife Society. 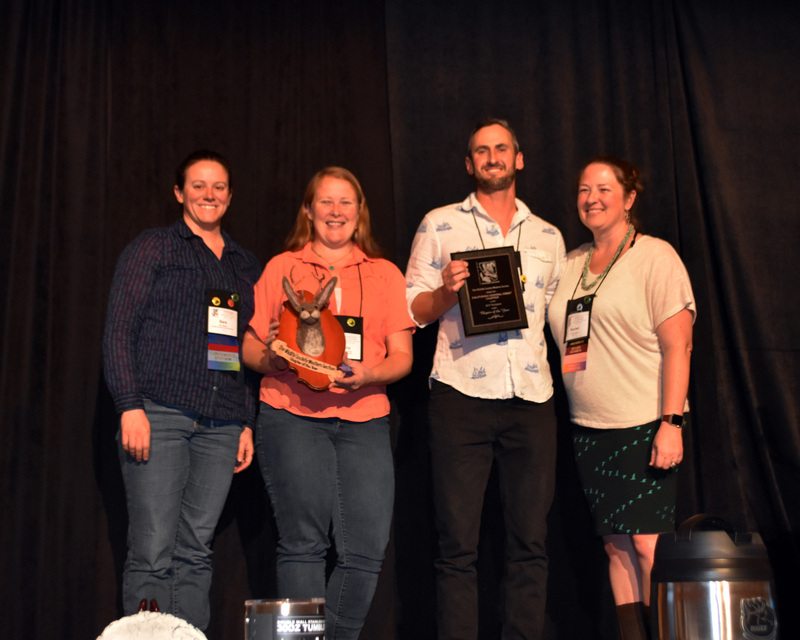 The “James D. Yoakum Award” is intended to recognize individuals who have provided outstanding, long-term service, support, and commitment to the Western Section of The Wildlife Society. Qualifications of Nominee: The nominee must be a member of The Wildlife Society and of The Western Section and must have dedicated a substantial amount of time, energy, and personal sacrifice to furthering the Section’s goals and facilitating its programs and operations.